The Future Stores benchmarking report is now here! 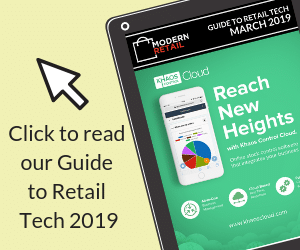 See how Europe’s leading retailers are harnessing technology to create captivating in-store experiences in Upgrading Bricks and Mortar. Did you know that 80% of retailers are increasing their spend on in-store innovations this year? With consumers expecting flawless continuity between all channels a brand offers, the pressure is on for retailers to create a captivating in-store experience. So, where are the key players investing? What technologies do they have their eye on? How are they keeping ahead of the competition? Our latest report was conducted by interviewing over 100 Heads of Digital and In-Store Transformation from Europe’s retail giants. They gave us an insight into where they’re investing, and how they’re putting the customer right at the heart of their stores. Attitudes to digital adoption in-house. Are teams yet to be convinced? Discover more in the Future Stores report Upgrading Bricks and Mortar. Tina is Marketing Director of POS experts Futura Retail Solutions Limited.